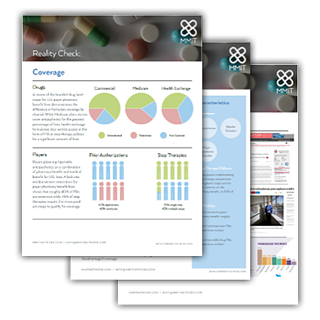 Market access for PCSK9s reveals differences in payer coverage across each major channel, as well as specific trends in the drug landscape. What can pharma do to curb this trend and overcome these challenges? Get the data behind this change and how it could impact your market access plans from MMIT's team. Their clinical and policy backgrounds provide a unique and expert perspective to help expand your knowledge in the class and guide your decision-making process. Download the full Reality Check now.